We value the trust you place in us and we respect your privacy. Please review carefully the following information as it describes the information we may collect from you, the purposes for which we collect it, how we use it when we may share it with third parties, how we protect your personal information and what will happen in case of a security breach. When you visit lisewatier.com, with the help of our third party authorized agents, we collect certain anonymous information about your visit. For example, when you browse lisewatier.com we may monitor statistics such as the number of people that visit the website, peak hours of visits, which page(s) are visited on the website, from which domain our visitors come (e.g., aol.com, hotmail.com, etc. ), and which browsers people use to visit the website (e.g., Google Chrome, Microsoft Internet Explorer, Safari etc. ), broad geographical information, site-navigation pattern, etc. We may obtain this non-personal information by placing a “cookie” on your computer’s hard drive so we can recognize you as a new or return user and personalize your experience. A cookie is a piece of data stored on your computer’s hard drive that enables us to track and target your shopping experience and order as you shop on our site. For example, cookies are used to save your Shopping Bag information so you can browse from page to page without losing that information. If you reject our cookies, you may still use lisewatier.us, but you may be limited in some of the features. Cookies do not contain personally identifiable information. Groupe Marcelle Inc. uses non-personal identifiable information for internal business and marketing purposes and to help administer and improve lisewatier.us for your shopping experience. We may use the information you provide in aggregate form for internal business purposes to analyze trends and site traffic patterns. Personally identifiable information is any information about you as an individual, such as your name, address, telephone number, credit card number, birth date, or email. We collect personally identifiable information from you when you communicate with us via: (i) email; (ii) lisewatier.com; (iii) otherwise, when you place an order or fill out a registration form, when you post a user comment on our website or when you participate in a contest, sweepstakes, survey or other promotion. When you place an order through lisewatier.com, we require that you provide your name, email, shipping/billing address, phone number, credit card number and its expiration date in order to process and track your order. We may also maintain a record of your product purchases. Whether or not you provide your personally identifiable information to us is completely up to you, but if you choose not to provide the information we request, you may be unable to use some of our services. We collect this information to serve you better and to provide you with a customized experience while using lisewatier.com for browsing and shopping. We may use your personally identifiable information to: fulfill one of your requests such as sending you promotional emails, fulfilling and delivering your orders, informing you about our new products, services and offers, responding to your comments or questions, contacting you if necessary while processing an order, and generating web analytics to compile user data for marketing purposes. We may also combine the personally identifiable information you provide us with other personal information about you (such as demographic and past purchase information) from our records and from other sources. 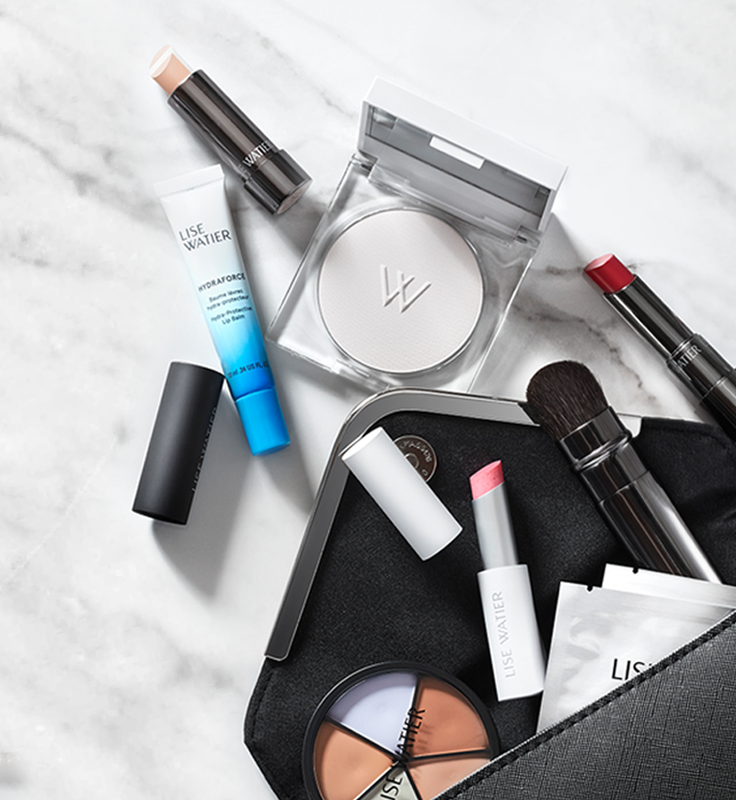 We may share this combined information about you with third parties and may use this combined information for future marketing initiatives and to help us improve lisewatier.com presentation and your overall shopping experience. We do not ever rent or sell your personally identifiable information with these organizations or with other third parties for marketing purposes. Groupe Marcelle Inc. may also share your personally identifiable information with third parties that perform services for us, such as our affiliates, advertisers, partners, potential business partners, and other unaffiliated entities. These companies and individuals are hired to perform functions on our behalf, such as fulfilling and processing orders, processing credit card payments, performing data and marketing analysis, fulfillment to process orders, and providing customer support. While such third parties may be provided with access to personally identifiable information needed to perform their function, they may not use or disclose such data for any other purpose. Additionally, our service providers are contractually required to maintain all the information collected for us in strict confidence. In the event another company buys the assets or ownership interests in Groupe Marcelle Inc., your personally identifiable information may then belong to that other company. Any information you include in a user comment submitted on lisewatier.com, including any personally identifiable information, will not be treated as confidential and may be publicly disclosed. At Groupe Marcelle Inc., we are committed to the safety of children when they use the Internet. Lisewatier.com is directed for use by adults. Groupe Marcelle Inc. does not knowingly collect any personal information from children under the age of 13. Those under the age of 13 should not use the website to provide Groupe Marcelle Inc. with any personal information. The website’s security complies with industry standards to protect the security of your personal information both online and offline. Personally identifiable information is stored on computer servers in a controlled environment that is reasonably protected from unauthorized misuse or disclosure. We use available technology and other techniques to implement systems like firewalls, and/or encryption to secure marketing data transfers. Orders placed on lisewatier.com are encrypted using Secure Socket Layer (SSL) technology, an industry standard that is used by vendors to ensure the security of online business. It employs the essential functions of mutual authentication, data encryption, and data integrity for secure transactions. We take special steps to safeguard your personal information and since your password is protected, only you can access your account information. We recommend that you keep your password private and always sign-off of your account and close your browser when you are finished shopping. You may choose to opt out of lisewatier.com disclosing personal information about you to third parties for marketing purposes. If you choose to opt out, you will not receive any direct mail, telephone or email solicitations for products or services from Groupe Marcelle Inc., though Groupe Marcelle Inc. may still use your personal information (and may share your information with our service providers) to provide you with services relating to your online shopping needs. We are not responsible for notices that are not labelled or sent improperly, or do not have complete information. Your opt-out request will be processed within 30 days of the date it was received. Once you have opted out, you do not need to do so again.